Black Friday and Cyber Monday is a ground-breaking holiday eCommerce season. It’s not confined to just one day but the shopping obsession starts from November first week itself. Most of the businesses start early as soon as the Halloween business season is over, while some start late. Come on now, don’t think you are late. You can even start now to make your sales during Black Friday and Cyber Monday a big success. Buzz Marketing – Traditionally referred to as oral communication, but in this internet age, social media platforms like Facebook and Twitter are now the dominant tool for buzz marketing. You can also use ads and emails. In this marketing technique, you need to build buzz around the products you are selling and for that requires strategic planning and innovative ideas. Special deals – Don’t provide only discounts for the sake of the sale. You can organize a contest online where for the whole week you can provide some free gifts with the purchased product if the customer wins the contest. 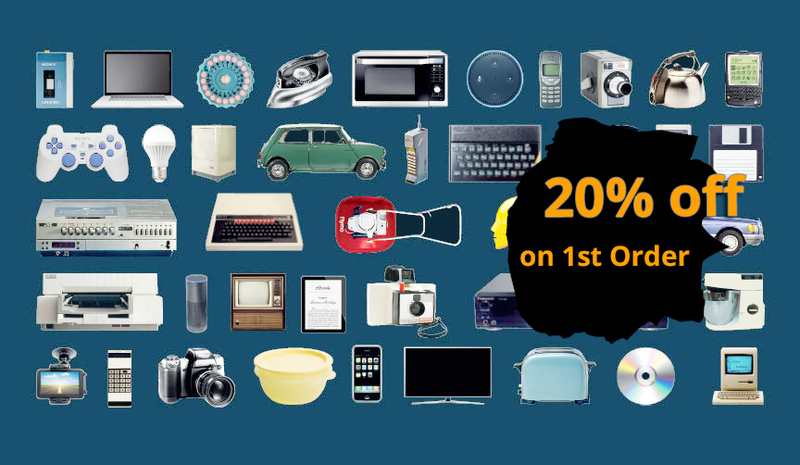 Offer door crashers - Provide amazing different offers right from today till the black Friday. Activate this offer for 24hours so that people would feel the urgency to buy the product. Co-ordination of Promotional Strategies – To maximize your eCommerce sales especially on Black Friday and Cyber Monday promote your products on different channels like the website, email, social media, contact influencers, and you can even start referral programs for a shorter period. Post best deals for last-minute shoppers- You can offer various deals and even run a contest for last minute shoppers and provide them gift hampers and amazing discounts with their purchased products. Every other business will provide either 15% or max to max 20% discount and with this, if you expect you will also do great business on this festive season then you are wrong. This is the one time of the year where you can attract customers by providing captivating offers and discounts and it should be the offer that no other businesses are offering. Lower your price, without the feeling of losing your brand integrity. Now you might be having a certain set of customers who on regular basis consider your brand for purchase. So, provide them with some great deals, offers or gifts that they can receive nowhere and do include a time limit to create an urgency within them to buy. This is a great strategy of sending emails to your VIP customers to increase your Black Friday sales. As per the statistics, last year on November 2017 eCommerce businesses had earnings of $1 billion each day before the Black Friday sales. There is a huge scope of earning and so you should start by creating a positive brand awareness among the audience. Video advertising is the best option to sell online these days. Many shoppers who view videos are twice as likely to purchase the product than the audience who don’t. Promote your videos on Facebook where you can also set your target audience and sell where your customers actually are. Too many visitors and your site just got hanged – this would be the worst impression of your brand on your visitor. If the visitors are unable to access your website, then how will they have trust in your products and services. Make that space available on your servers during these busy days so that you provide a great site performance to your customers. Create a positive connection with your customers by putting up inspiring images during black Friday Cyber Monday season. You can use words like “The biggest sale ever on Black Friday” to build that interest among the audience to view your deal. Paid advertising would definitely bring business but during the holiday season try selling organically by using some images and genuine words that would emotionally attach the customer to your product. Email is still the basic but most important tool for attracting the audience to your product during the Black Friday sale. So, plan and implement strategically while sending emails to your customers. Also, note the type of audience you are sending email to. The more segmented you send your emails to, there are higher chances of great sales and revenue. There are different purchase segments like VIP Customers, seasonal shoppers and category buyers for whom you have the idea of what they would like to prefer looking into their previous shopping carts, and so you can make special arrangements for them accordingly by offering free gifts. For purchase segments like recent openers, product browsers, Email ignorers you can offer them special deals and discounts, for them to make a decision to purchase. Most of the people use smartphones for browsing and purchasing these days. Last year, 64% of the total sales were through mobile devices. Make your website mobile compatible with great and easy navigation options. It should have a good responsive design where you can be able to zoom the product as what we can do it on the desktop. Many customers abandon the cart during checkouts even if they come across some minor issues. Offer your users with simplified, faster and automated mobile checkouts. Mobile customers are unforgiving and impatient. One second of delay will create a huge difference in your business. One second delay in the loading time of your website equals an 11% loss in your page views, it also means a 7% drop in your conversions. To increase your black Friday sales, run more campaigns, increase your site performance and make the navigations smooth. 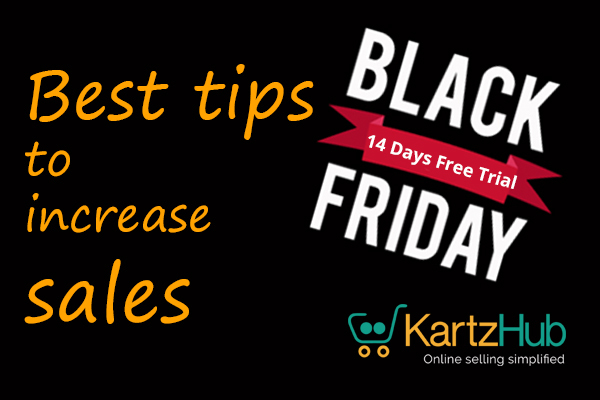 Follow these few tips to increase your sales on black Friday.